Thanks to BHPian RavenAvi for sharing these images with other enthusiasts! 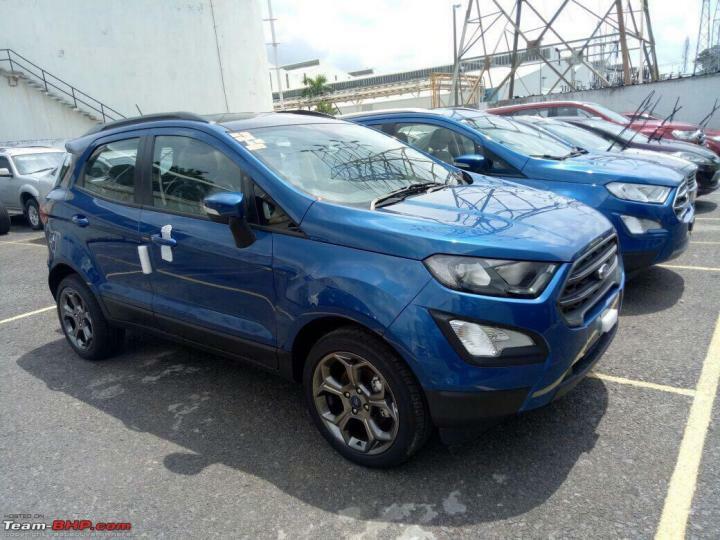 Last month, we had published images of the Titanium S variant of the Ford EcoSport. The new set of spy images reveal some more details of the car. 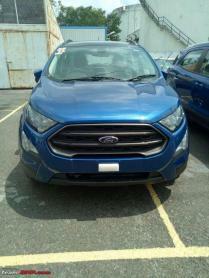 The EcoSport Titanium S can be seen here in the Lightning Blue exterior colour. Unlike the standard Titanium variant, the Titanium S trim gets 5-spoke alloy wheels finished in grey. The front of the car features less chrome and instead, gets dark grey trim around the grille. While, the Titanium variant gets body coloured trim around the fog lamps, the Titanium S variant gets black plastic housing. 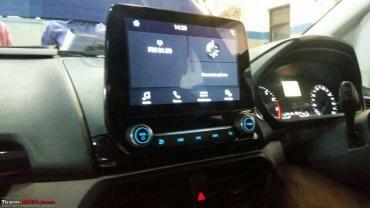 The car also comes with smoked headlamps, a blacked-out roof panel and black roof rails. At the rear, the Titanium S variant gets a spare wheel cover and blacked-out rear spoiler. 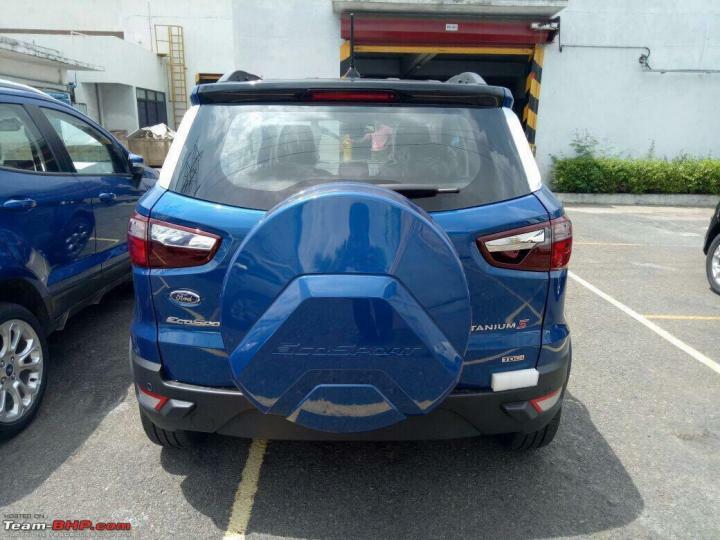 The TDCi badge on the tail gate suggests that this variant is powered by a diesel engine. The images indicate that the interior are likely to be similar to the Titanium variant and will feature an 8.0-inch floating touchscreen infotainment system, an instrument cluster with white back light and a central MID. Recently, Ford unveiled its new 1.5-litre, 3-cylinder Dragon series petrol engine, which develops 121 BHP and 150 Nm of torque and is expected to be offered in the EcoSport facelift. This engine features an aluminium block with variable valve timing and an integrated exhaust manifold, centered spark plugs, hydrodynamic bearings and belt-in oil primary drive.